It’s a pretty common reaction when I tell people what I do. The concept of infant mental health conjures images of babies on couches and less funny ideas about over-diagnosing and medicating children for imaginary psychological disturbances. And I’ll be the first to admit, the field’s preferred name for the subject – infant/early childhood mental health – is a poor one. But it’s a topic that’s critical to our state’s future. At it’s core, an infant/early childhood mental health program is making sure that kids from birth to age 5 are getting the nurturing and stimulation they need to develop basic social and emotional skills. While the idea of “social and emotional skills” might sound more like touchy-feely social science, the lack of these basic skills in young children is a primary contributor to falling academic achievement, rising unemployment and economic instability. These skills – like empathy, resilience and persistence – are core to later learning, success and the ability to form healthy relationships down the road. They are the skills that keep children from becoming a bully. They are the skills that enable a child to keep working at a tough math problem. They are the skills that make it possible for a child to “shake off” a poor performance or mean comments from peers. They are the skills that contribute to mental health stability as adults. And these skills mean the difference between positive and negative life outcomes. This is the perfect example. This video shows just the short-term effects of caregivers and parents who are unresponsive, disengaged, or simply too busy or distracted to provide babies with the feedback they need. This intervention pyramid illustrates how early childhood mental health initiatives are inserted into the lives of children who need them. In families – Starting with families, creating a community awareness of what positive relationships look like, and how to encourage social and emotional competence within our children is a positive start. In learning centers – Helping learning centers set up environments that are conducive to a child’s healthy social and emotional development will benefit all children who attend, and may head off some challenging behaviors before they start. When problems arise – Working directly with teachers and para-educators in early childhood settings, to give them the evidence-based, proven teaching strategies to move a child whose development is off-track back to a healthy trajectory. Advanced resources – Providing funding for expert mental health care in the event that a child needs more than what a parent or care provider can do is critical. Though it will impact fewer children directly, ensuring that these kids get the help they need will dramatically improve the quality of care environments for other children. Early childhood mental health is a community job. It’s up to parents and teachers, obviously. But it’s also up to us to make sure that parents and teachers have the knowledge and teaching strategies to encourage healthy social and emotional development. Watch for future posts about specific strategies for social and emotional development. 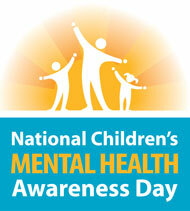 Find out more about Early Childhood Mental Health Day now.